Regulation 4 of CAR 2006 states that it is the sole responsibility of owners and occupiers of non-domestic premises who have the maintenance and repair obligations to assess and manage the risks from the presence of asbestos. These requirements extend to the common areas of Housing Development and Blocks of Flats. Under the Health and Safety Act 1974, Employers also have the responsibility to ensure that their employees are not exposed to health and safety risks. This includes exposure to asbestos. 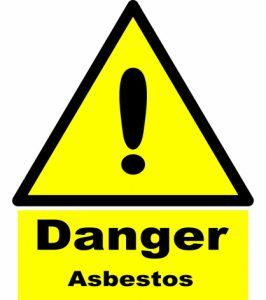 There is no legal requirement for homeowners to have an Asbestos Survey, however, the report written by Dame Helena Shovelton for the BBC health news details her concern for the lack of awareness among those doing DIY in the home. Learn more on the HSE asbestos information page. PAC can help you. PAC will provide you with a wide range of services to meet all your needs. So whether you are concerned about the textured coating or floor tiles to a domestic property to surveying premises prior to demolition our Independent Surveyors will provide you with a fast reliable, tailored service to meet your requirements. With offices in Manchester and Halifax, we are within easy reach of most major towns and cities of West Yorkshire over to Lancashire, including. Halifax, Huddersfield, Leeds, Manchester, Oldham, Rochdale. We do cater for the whole of the UK, although most of our business is in the North of England. Phone PAC on Manchester 0161 327 0153 or Halifax 01422 324760 for advice/quote.